Losing a parent is difficult at any age, but it can be even harder when you are not a U.S. citizen. Jessica, her parents, and her two brothers moved to the U.S. when she was five years old. After her father left the family and was deported, Jessica’s mother became ill and died unexpectedly. Alone in the world, Jessica and her brothers were not sure where to turn. Jessica’s older brother was 19 at the time and wanted custody of his younger siblings. Afraid that the family might be split up by children’s services, a school counselor suggested they contact legal aid for assistance. Their ABLE attorney was successful in obtaining custody for the brother, allowing the family to remain together. 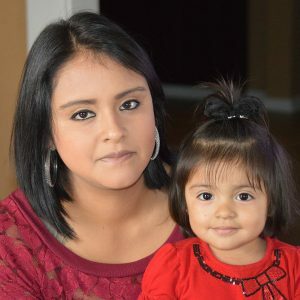 Jessica’s ABLE attorney also successfully worked with her to obtain her green card. Now 19, Jessica works part-time and is planning to attend college and become a U.S. Citizen.